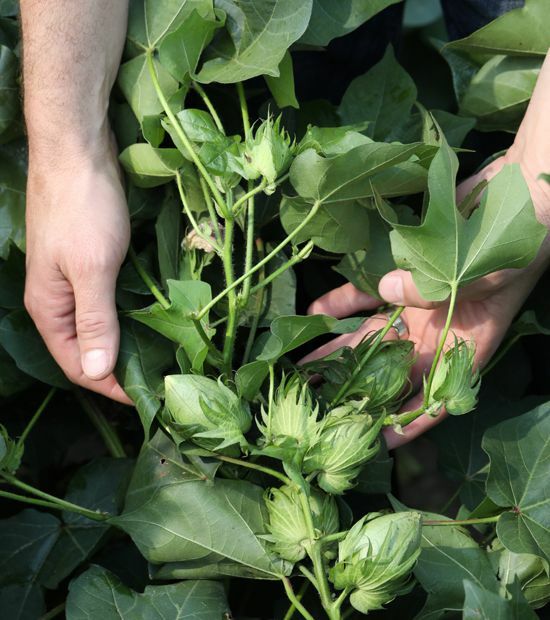 Early season soil crusting, hailstorms, sandblasting and seedling disease are some of the major factors that force cotton producers in the Southwest to make difficult replanting decisions. The yield potential of the original planting versus the costs associated with replanting must be weighed. Factors to be considered include: potential replant date, geography, plant population, skips in stand, and condition of remaining plants. The condition and fate of the remaining plants can be the most difficult determination. The two significant phases of fiber development are elongation and fill. Elongation begins the day of flowering and continues for about 20 days. Fill begins 15 to 20 days after flowering and continues until the boll is mature, at about 45 days. 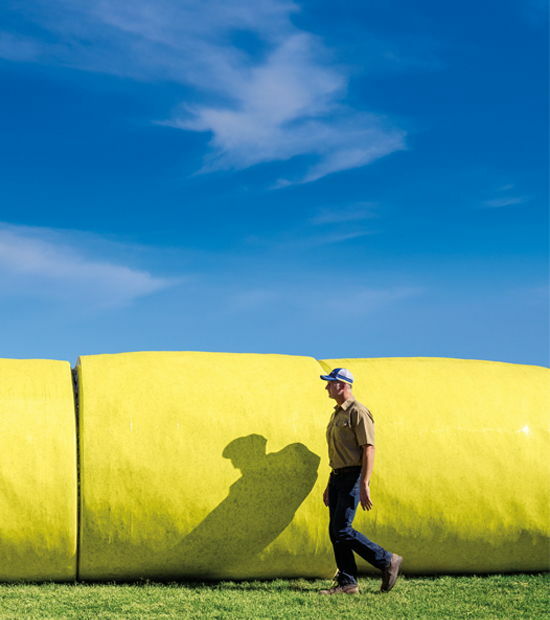 Growers preserve fiber strength by harvesting cotton in a timely manner. Weathering on open cotton can result in a significant decline in fiber strength. Cotton has a unique ability to compensate for significant reductions in plant population by producing more nodes on the main stem, bolls on outer positions of fruiting branches and bolls on vegetative branches. Generally speaking, early planted cotton has more potential for yield compensation than later-planted cotton because it has more opportunity to accumulate heat units. In the southern portion of the Cotton Belt, the yield potential on later-planted cotton is usually satisfactory because enough heat units are typically accrued. Check with your local PhytoGen cotton development specialist (CDS) or university cotton specialist for exact dates for your geography. In some years, there are little or no yield differences between early and later-planted cotton, and, in other years, the differences are vast, depending on in-season heat-unit accumulation. Can your cotton bridge the gaps? Even though a fieldwide measurement shows adequate plant population, the stand sometimes contains wide (3- to 5-foot) gaps that are not accounted for in plants-per-foot measurements. In these wide gaps, the potential for compensation will be severely limited. Take several representative 100-foot samples around the field and get an estimate of the number of gaps per 10 feet. Determine whether the gaps are confined to an area of the field. If the stand reduction and gaps are isolated to certain areas of the field, producers can replant only into these spots. However, if it has been awhile since the original planting, replanting into the original stand can significantly offset the maturity and management of the crop. Use this information to consult with your local PhytoGen CDS, consultant or Extension agent to determine whether the stand and the gaps threaten the viability of the field as planted. Plants injured by hail that are not cut off below the cotyledonary node are likely to survive. However, if the apical meristem is destroyed, the plants will grow back without apical dominance, which means they will grow in all directions (called “crazy cotton”). These plants can produce satisfactory yield if there are enough heat units, but maturity will be significantly delayed. When assessing plants in stands affected by disease, healthy seedlings must be examined for signs of disease to estimate the fate of the remaining plants. If replanting is not performed or is delayed and the original plant population continues to reduce, yield can be severely impacted. An estimate of the number of diseased plants needs to be determined, and the decision to replant needs to be made in a timely manner. 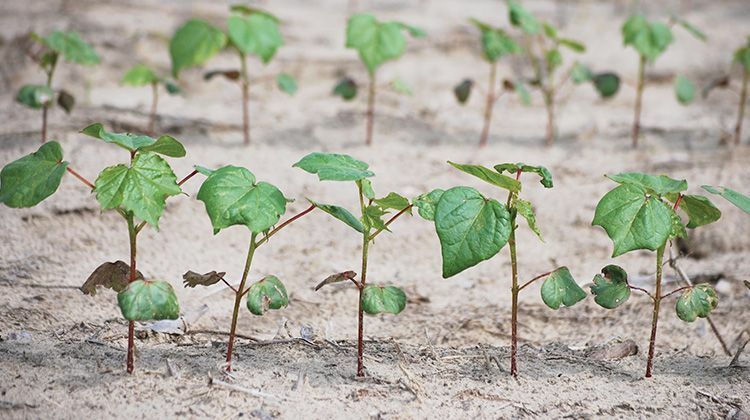 Unless cotton is replanted into an existing stand that has very recently emerged, the original seedlings should be destroyed to avoid season-long management challenges. Be timely when scouting fields for thrips, fleahoppers and other potential insect pests. If insecticides are required, apply in a timely manner. Use plant growth regulators as recommended. 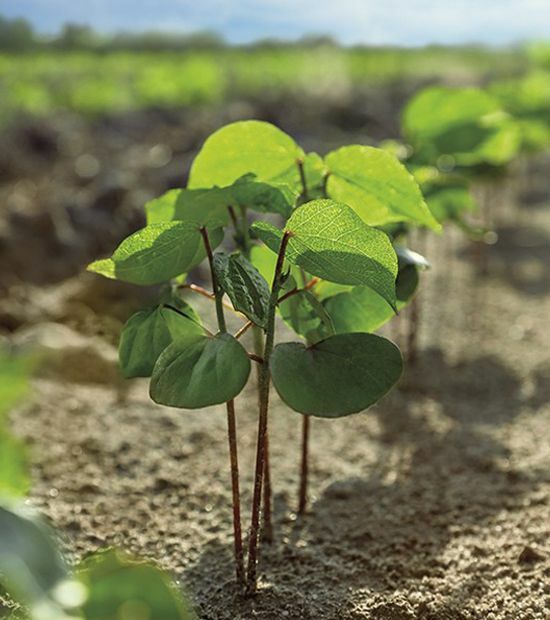 For more information on replanting, contact your state Extension cotton specialist. As always, your PhytoGen cotton development specialist is available to discuss options. Find their contact information at PhytoGen.com. How many plants are enough? The remaining plant population is the first piece of information needed to determine whether a stand is viable. Count the plants on 50 to 100 feet of row in several areas of the field. Check the field for significant gaps. Measure those gaps. Use local timing and gap considerations to determine whether to replant. 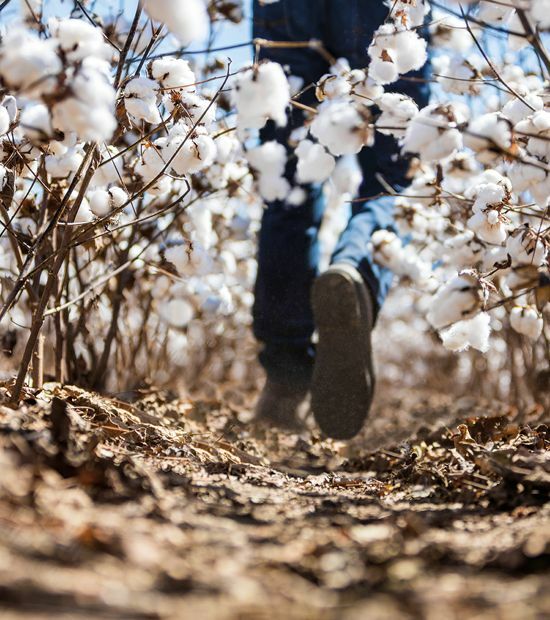 Check with your local PhytoGen sales representative, cotton development specialist or university cotton specialist for exact dates for your geography.